Monitor metrics that define your helpdesk performance (Average Time Spent, Average Response Time etc.) using "Agent Performance View" inside HappyFox Reports. Where to View the "Agent Performance View"? 3. 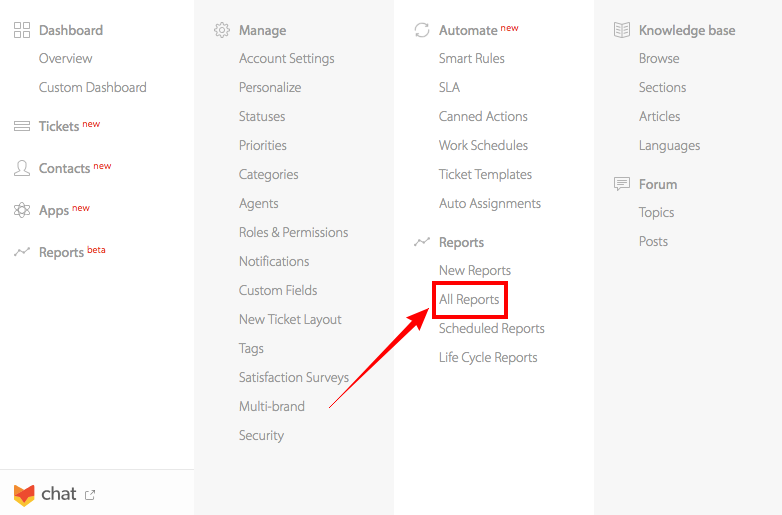 Scroll down to the Tabular View and click on the Agent Performance View icon. The average ticket response time on the whole. The average time taken by the agent to resolve tickets. The average of Time Spent minutes added by the agent on the tickets they've worked on. The average number of responses sent by the agent. The average number of responses sent for solving/closing a ticket. To sort the data by any one of the parameters, click on the relevant column head. You can also export these values as a CSV/Excel files by clicking on the respective links.